You are here: Home / Sweets / My Favorite Simple Carrot Cake + My 5 Year Blogiversary! 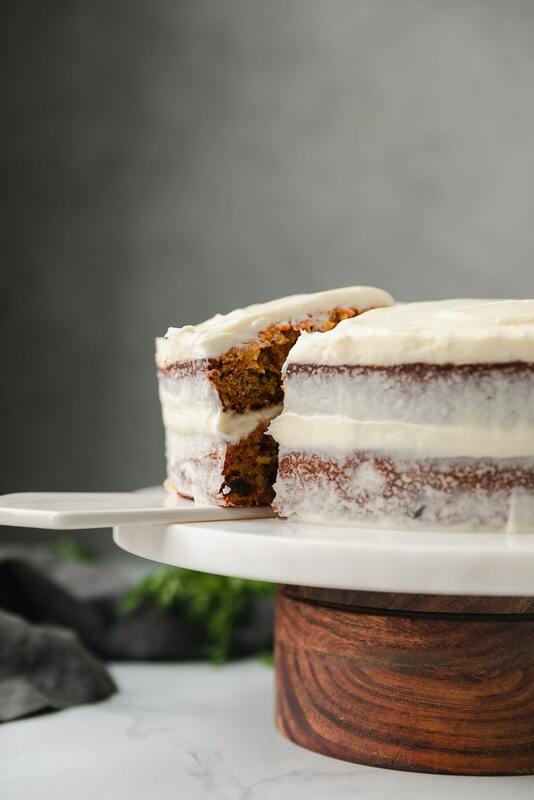 My Favorite Simple Carrot Cake is just that – a super flavorful, simple carrot cake that turns out perfectly every time. It’s filled with lots of freshly grated carrots, walnuts, crushed pineapple, raisins, and coconut! It’s perfectly spiced, just sweet enough, and the cream cheese frosting is the absolute best! Today is a super special day for a few reasons. 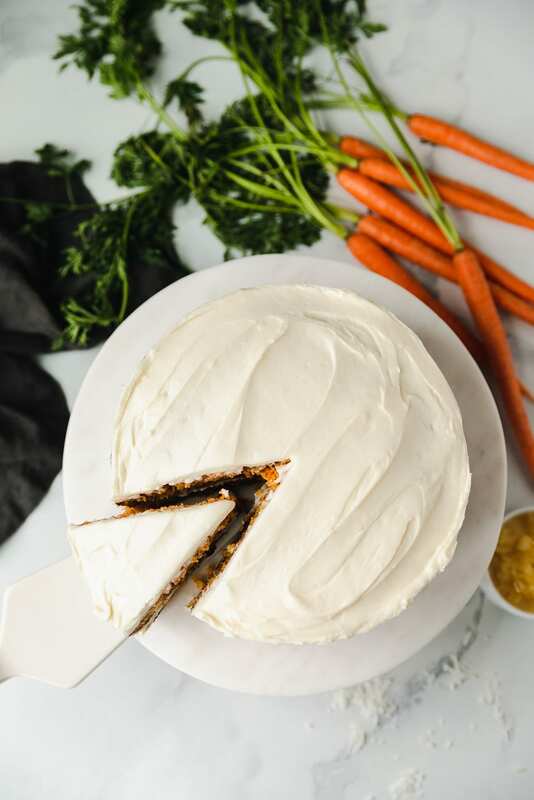 One, I’m sharing my favorite carrot cake recipe ever, two, it’s my 5 year blogiversary (how on earth has it been 5 years since I started blogging?!?!?! ), and three, it’s my mom’s birthday! February 5th will always have a very special place in my heart for those two reasons especially. And those two reasons absolutely warrant carrot cake, right?! I usually share more elaborate cakes on my blog, because they’re just so much fun to make and photograph, and they’re incredibly delicious to boot! 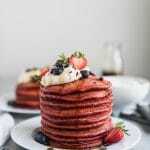 But this time, I wanted to share a super simple, only two layer cake recipe that everyone LOVES. It hardest part of this recipe is grating the carrots! 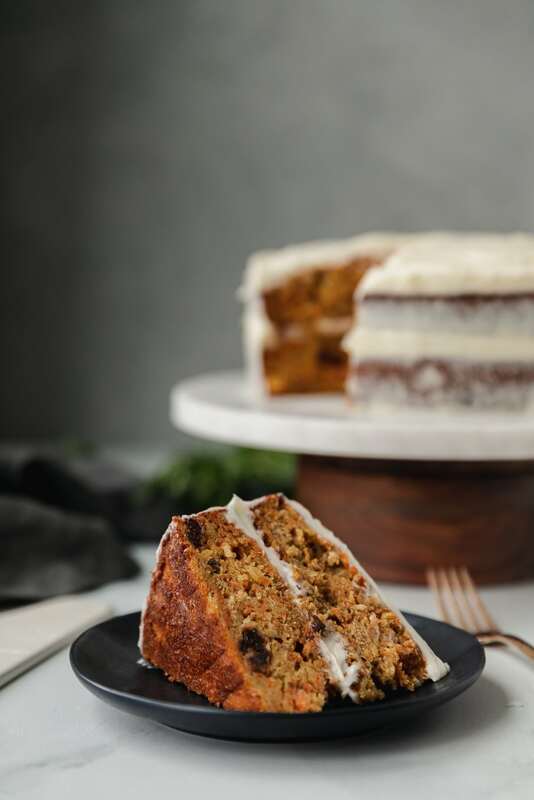 If you like carrot cake with lots of stuff in it, you will go crazy for this. 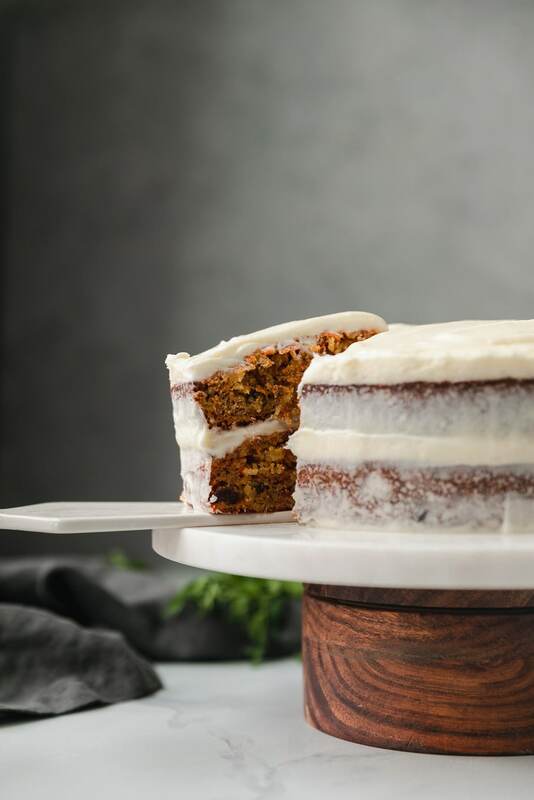 My mom’s favorite type of cake is carrot cake, so of course I had to make this one for her birthday and my blogiversary. Her non-negotiables when it comes to carrot cake is that it HAS to have crushed pineapple and coconut. Raisins and walnuts are a must for me, so this one has ALL of it. So so good! The cream cheese frosting is also insanely good. 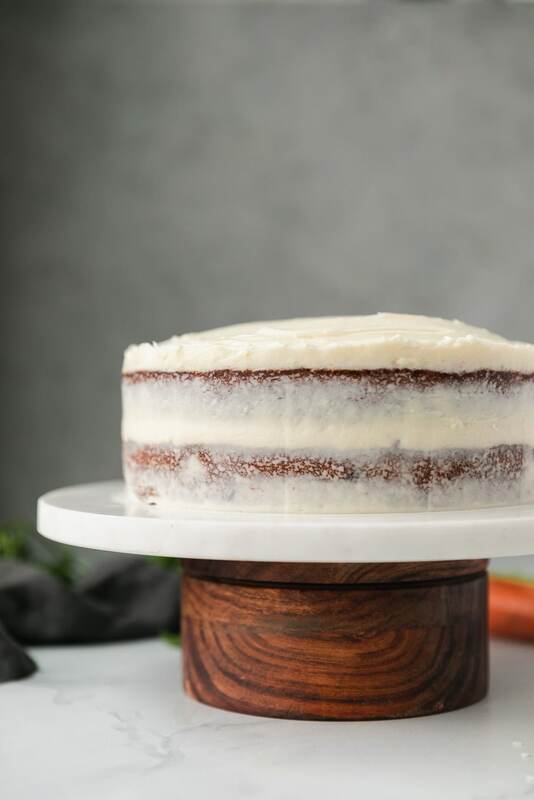 It’s super simple, but it’s my go-to cream cheese frosting recipe for carrot cake, red velvet, and really any cake for that matter. Cake is always better with cream cheese frosting! Am I right?! And you DEFINITELY don’t have to be an experienced cake baker whatsoever to make this cake. 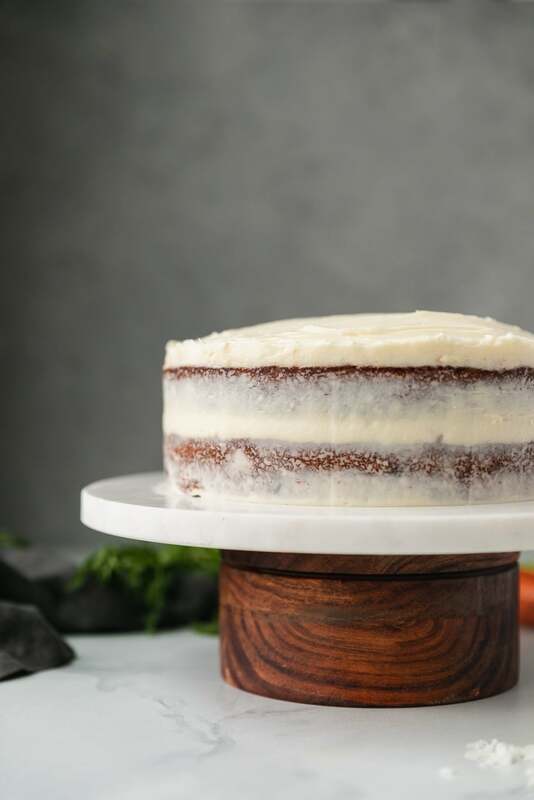 It is as simple as it gets, and the fact that it’s a “naked cake”, meaning you don’t have to frost it perfectly – you leave the sides semi exposed for a rustic effect, means you can absolutely do it! 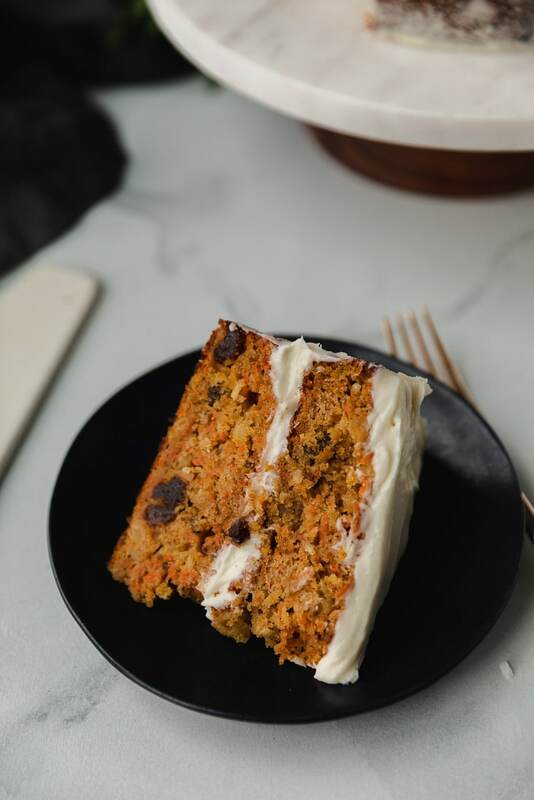 I always love carrot cake the most when it is FILLED with all of the things. All of the things meaning loads of grated carrots, crushed pineapple (game changer! ), chopped walnuts, raisins, and shredded coconut. 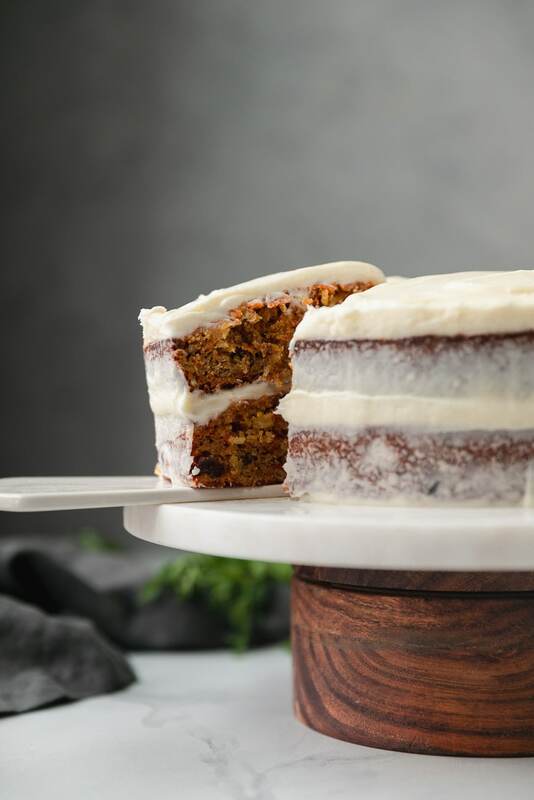 I love my carrot cake to have tons of moisture, texture, and flavor, and this one delivers on all fronts! 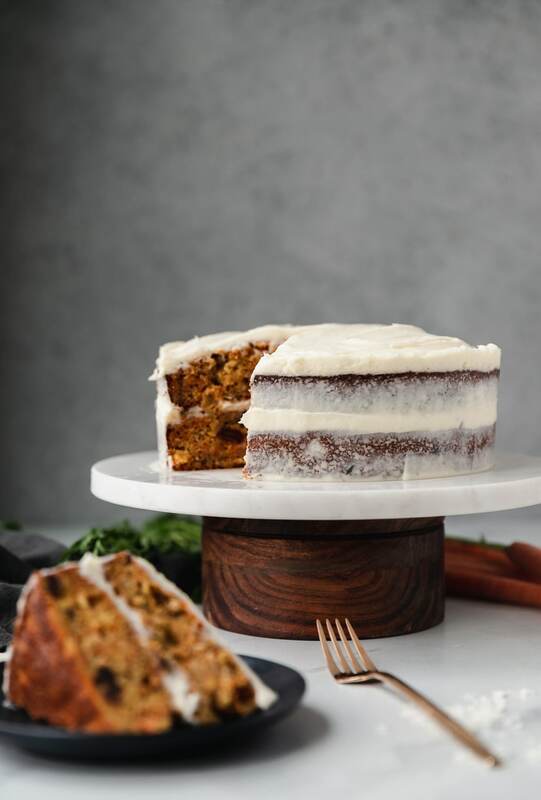 I’ve been wanting to share a carrot cake recipe on the blog for what seems like forever (well, 5 years I guess! ), and I’m so glad I finally did today because this day is so special. Never in a MILLION years, would I have thought this blog would turn into my career and bring me such incredible opportunities. I remember the very day I bought my domain name like it was yesterday, and I never ever would have thought I’d be here 5 years later. It’s definitely been the most mentally, emotionally, physically challenging 5 years of my entire life, but I wouldn’t trade it for anything. Something I didn’t fully understand 5 years ago: blogging is HARD work. Blood, sweat, tears, sacrifice, hustle, doubt – are all words that come to mind immediately, and there is so much behind the scenes work that goes on in order to keep the site up and running, that a lot of people probably don’t realize! All of that being said, I still absolutely love it. I guess nothing worth having ever comes easy, right? And blogging has given me so much joy. SO MUCH JOY, I can’t even begin to put into words. I’ve met so many incredible people in this space, connected with readers and you lovely people that make my recipes, and I truly could not be more grateful for all of it. But back to the cake! If I had to describe it, I’d say it has a lot of “stuff” and texture to it, while still being light. All of the grated carrots help to keep it light, and the pineapple helps keep it moist. 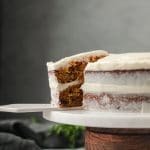 My Favorite Simple Carrot Cake is just that - a super flavorful, simple carrot cake that turns out perfectly every time. It's filled with lots of freshly grated carrots, walnuts, crushed pineapple, raisins, and coconut! It's perfectly spiced, just sweet enough, and the cream cheese frosting is the absolute best! Preheat oven to 350℉. Butter and flour two 9'' cake pans and line the bottoms with parchment paper. Set aside. In a medium mixing bowl, whisk together the flour, cinnamon, nutmeg, ginger, baking powder, baking soda, and salt. In a separate, large mixing bowl, whisk together the granulated sugar, brown sugar, eggs, and vanilla until smooth. Add the vegetable oil and milk and whisk again until smooth. Fold in the grated carrots, pineapple, and coconut until incorporated. Add the dry ingredients to the wet, mixing until just combined. Lastly, fold in the raisins and walnuts until just combined. Pour batter evenly into each pan, and smooth out the tops. Bake for 35-40 minutes, or until set in the middle and light golden on the edges. Let cakes cool for 20 minutes in the pans, then gently invert onto a cooking rack to cool the rest of the way. 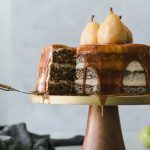 To assemble the cake, place one layer on a plate or the cooling rack (just so you don't mess up the plate you are serving on, or the cake stand! ), and spread the top with a thick layer of the frosting. Top with another layer and spread top with another thick layer of frosting, leaving a little bit left for the sides of the cake. Use the leftover frosting to "half" frost the sides, to create a "semi-naked" effect. Use an offset spatula or bench scraper to smooth out the sides and top of the cake. Slice and serve! 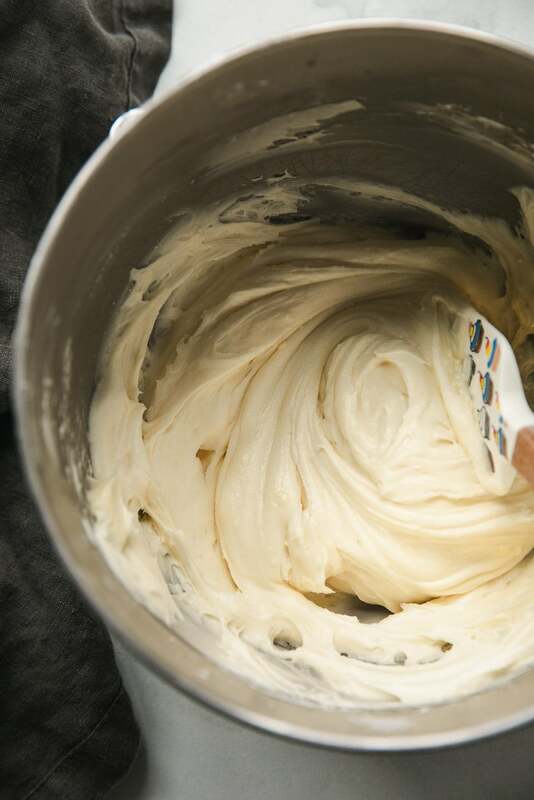 Add the butter and cream cheese to the bowl of a stand mixer and whip on medium high for 2-3 minutes until light and fluffy. Reduce speed to low and gradually add the powdered sugar until combined. Add the heavy cream and increase speed to medium-high and whip for 1-2 minutes. Add the vanilla and salt and whip for another 2-3 minutes or until smooth and creamy.